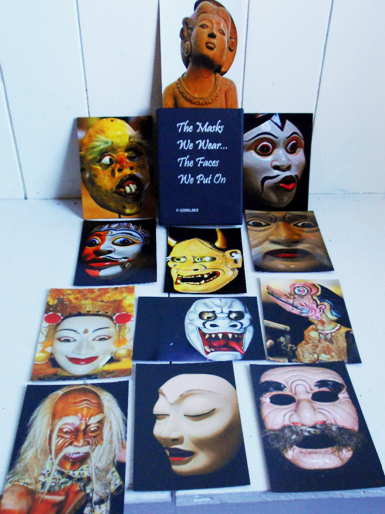 Concept: Mario Cossa, MA, RDT/MT, TEP – mario@dramario.net Photography: M. Hasan, Bali, Indonesia – sh.indo@yahoo.com The 62 images in this deck (12 examples above) are of masks and puppets primarily from Bali and Java in Indonesia, and some assorted sculptures and statues from Bali. They are intended for use as a projective stimulus and can be used in many ways. They are now available on-line from our distributor in China. A word document with many ideas for how they can be used is available on request by e-mail from Mario.